This tutorial shows you how to rearrange the days in a meal plan. For example, you may want to change Monday with Thursday, or a workout day with a rest day. Step 1: Open the meal plan you want to edit. 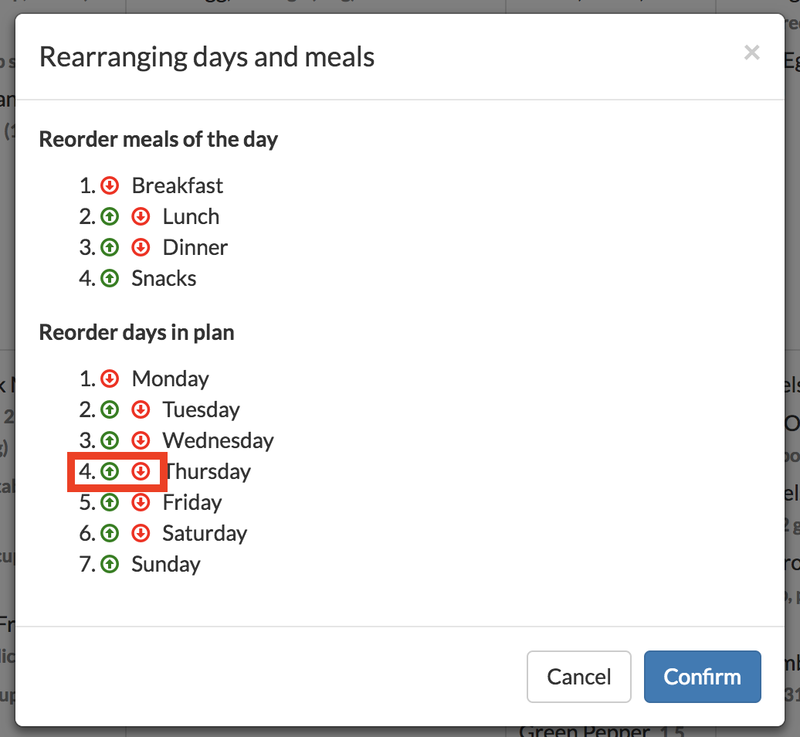 Step 2: Click on the little arrows icon on the top-left of the meal plan. 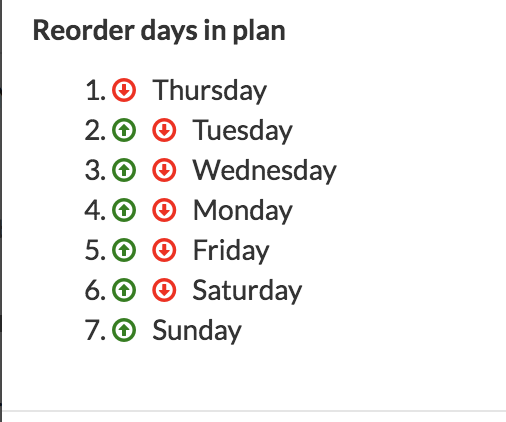 Step 3: Click on the green/red arrows to rearrange the order of the days in the meal plan. 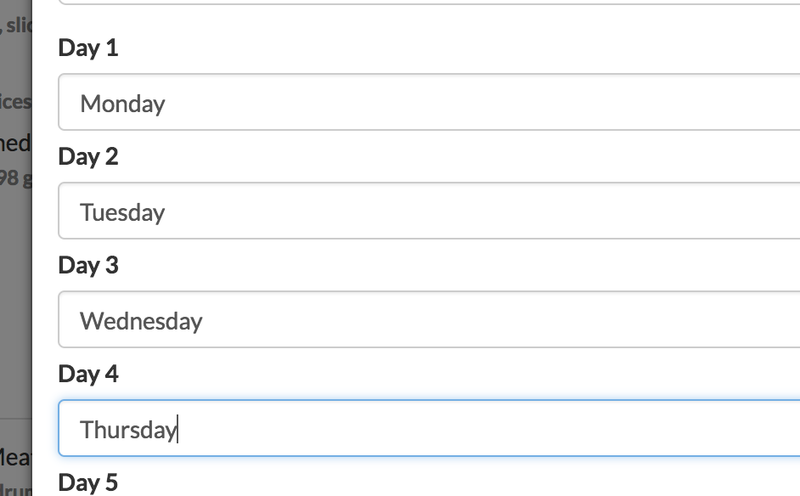 In this example, we have moved Monday down and Thursday up to switch their places. This is how it would look like in this example. 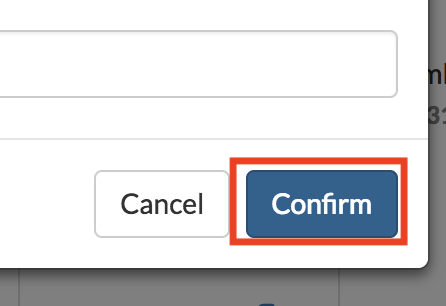 Step 4: Click on Confirm once you are ready. Step 5: Now that Thursday is the first day in the meal plan, and Monday is the fourth, you can click on the calendar icon highlighted in the screenshot below to rename the days. 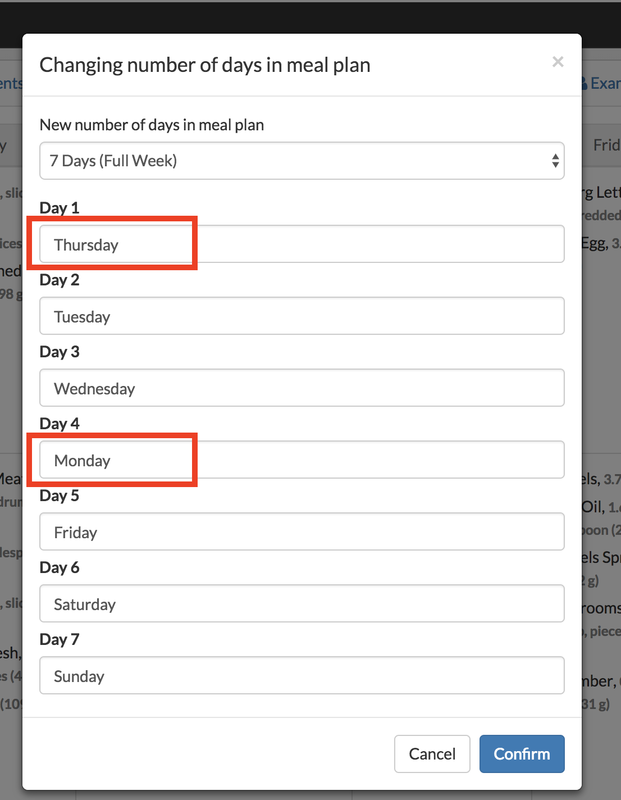 Step 6: In the modal window that will come up, you can rename the days in the meal plan. In this example, we have changed the name of the first day to be Monday, and the fourth day to be Thursday, so that the week follows the natural order. 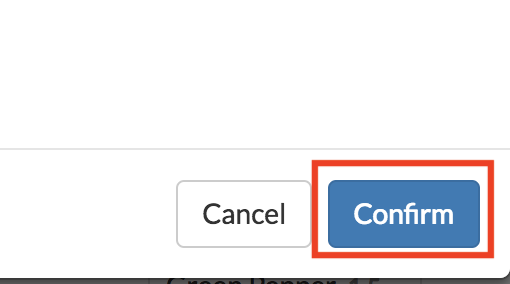 Step 7: Click on Confirm once you are done. Here are the final results. Notice that now all the meals that were originally on Thursday and Monday have been swapped. Don't forget to save your meal plan if you want to keep your changes.